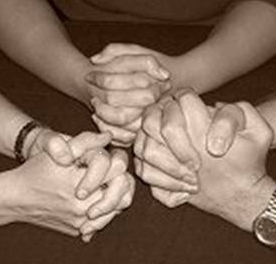 Prayer brings us together ‘as one’. In the Gospel of John, Chapter 17, Jesus exhorts his disciples and all those who come after them, (us! ), to be one with each other and one with Him in the very same way that He is one with His Father God. Chelmsford 24-7 has sought to ‘join the dots’, connecting Christians praying in one church and in another. The Church is called to be united both in our love for each other and in our love for Jesus. When we are, our prayers will be truly effective, bringing The Kingdom of God to our City, Nation and World. Jesus once said, ‘A new command I give you: love one another. As I have loved you, so you must love one another. By this everyone will know that you are my disciples, if you love one another.’ (John 13:34-35). Prayer that is in accordance with God’s plan and purposes always changes things. God speaks to us through prayer and if we are of one accord and truly love each other, our prayers and the actions that result will bring profound and positive change and transformation to the people and life of our City and to the surrounding District. We know that what we are doing is part of a greater plan that God has for our generation, and together with the prayers of like-minded people in many other towns and cities, we believe we will see transformation, and Christian ‘revival’ in our City, Region and our Nation.